One of my favorite theologians, Tom Oord, continues to write prolifically about his conception of who God is and what kind of God He is. Although I’m not in complete agreement with his open and process theological concepts, I do regard his depiction of God’s character and reputation to be noteworthy. In fact, Oord’s depiction of God as relational is what has endeared me to his writing and to him as a person. I started with Oord in his book Relational Holiness, then moved on to The Nature of Love, then Relational Theology and now, The Uncontrolling Love of God, his latest work. Oord has two basic propositions in his latest work: 1) “God’s loving nature requires God to create a world with creatures God cannot control” and 2) His loving nature prevents God from interrupting “law-like regularities” of the natural world. In other words, Oord is saying God “cannot” interfere; hence, God is not responsible for evil and suffering. In practical terms, how do Oord’s two basic propositions play out? Does God not interfere in our world? I had to pause for a few days, because as I am writing this, another mass shooting has occurred. A violent act took dozens of people from this earth. Why didn’t God stop it? I have to agree with Hugo, when he says, “Just because one doesn’t like the way things are is no reason to be unjust towards God.” This seems to be the crux of Oord’s position. He seeks to protect God’s character by not blaming Him for our world’s evil. However, in doing so, God seems milquetoast. If God interferes, does that make Him blameworthy when He does not interfere and controlling when He does? It seems that God must do something besides being an observer of His creation. Undoubtedly, God feels what we feel and also desires a relationship with us, an intimate friendship. Yet, does God really not interfere? Practically speaking… it is certainly hoped He does interfere. A Being with infinite wisdom and infinite capability surely does interrupt the laws He established in this natural world. When God does so, He performs a miracle. God suspends the natural laws to bring about a desired result. We have examples of where God has not seemingly interfered but we also have numerous examples of miracles as well where God has interfered. If we believe God does not interfere, then we are left with a form of deism. Surely God is more than a watchmaker, a Creator of a mechanical universe. And as Oord points out, there are random events as well that don’t seem to make sense, so the charge of deism doesn’t stick because a fine watchmaker would not create opportunity for randomness. What is important to consider in this discussion is for those of us who have trusted in Jesus for our salvation, we will have an eternity to spend with God. What will we do for all eternity? One supposition is that we will see all the times God interfered and why and also all the times God did not interfere and why. We will see into God’s reasoning for his interference and lack of interference. Another supposition will be that God will spend an eternity showing us where He restrained evil when things could have been much more disastrous. We have evidence of this in our present world. 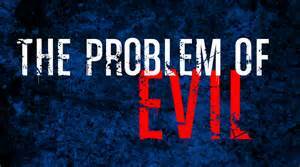 We all have seen times where something evil occurred and were able to see that if the timing had been different or if different people/circumstances had been present, the evil could have been much worse. However, this second supposition does nothing to assuage the victims and those vicariously victimized. That, I think, is Oord’s motivation, helping those who have experienced evil. As I’ve been reading the progression of his work, Oord, the philosopher/teacher/author, has a pastor’s heart. He doesn’t want people to turn against the very God who is the answer for our troubles. And it is this motivation that endears me to Oord and to much of his writing. Dr Wayman is a counselor educator with interests in adlerian theory, wesleyan-holiness theology and cognitive anthropology. Dale – Thanks for your thoughtful and gracious essay. I’m happy that some of my writing has proved helpful. You raise vital questions in this essay, and I thought I’d post a brief response about one: God’s “interfering.” I think God is the most powerful being and God exerts power upon all creatures all the time. In the book, I affirm that God is “almighty” (see chapter 8) and does miracles. The uncontrolling God of love I describe is neither deistic nor milquetoast. You’re right, however, that I avoid saying that God “interferes.” The word sounds like “intervenes” to me, and as I say in the book, “intervene” and “interfere” present two problems. First, they sound like God is not already present and active in some situation. I think God is always present and active in all situations, so God never needs to enter from the outside. Secondly, “interfere” and “intervene” can sound like “control,” in the sense of being the sole cause of some event. But if God has that capacity, I argue, God is culpable for failing to control genuinely evil events to prevent them from occurring. I think a loving God would prevent genuine evil, if it were possible for this God to do so. An “interfering” or “intervening” God could prevent genuine evil. Because genuine evil occurs, therefore, I don’t think God can interfere or intervene. Again, thanks so much for engaging the work. Although you may not finally find my arguments convincing, I appreciate your thinking through the issues with me! MUCH food for thought! THANKS to you both..